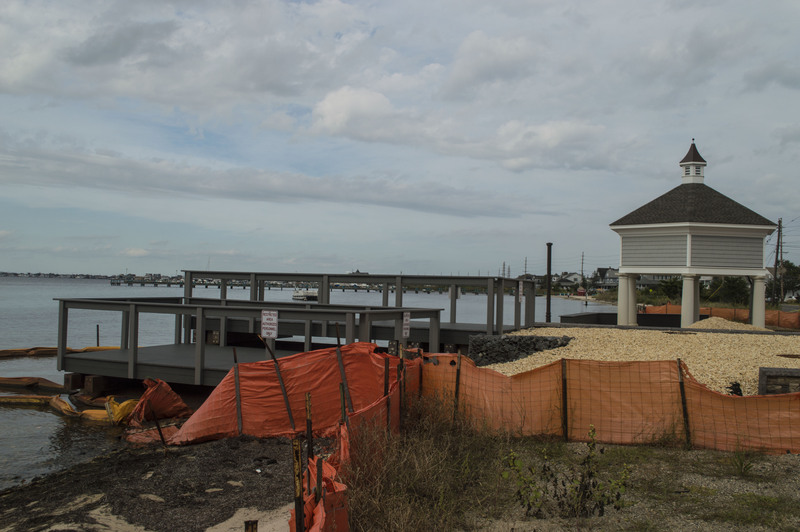 Repairs to a pump system that removes stormwater from Route 35, filters it, then sends it into Barnegat Bay are on hold, officials said this week. The pump system was found last year, after the project was completed, to be suffering from groundwater intrusion which caused the pumps to run continuously, even when there had been no rain for weeks. 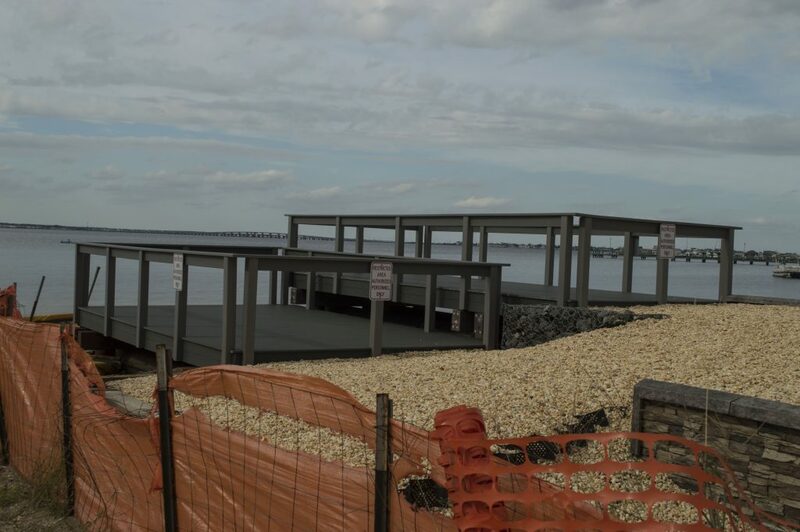 The force of the water led to a much-publicized silt plume in Seaside Park. The state began repairs on the system last fall, but the work is now stalled – another casualty of the diminished state Transportation Trust Fund, said Kevin Israel, spokesman for the state Department of Transportation. Last summer, all projects funded by the trust fund were stopped by Gov. Chris Christie after legislators failed to reach an agreement on how to fund it. Labor groups have since funded an advertising campaign to impose a 23 cent gas tax hike to replenish the fund, though the hike failed to garner enough support to pass both houses of the legislature during the summer. “The pumps have been on and working,” in the mean time, said Israel. 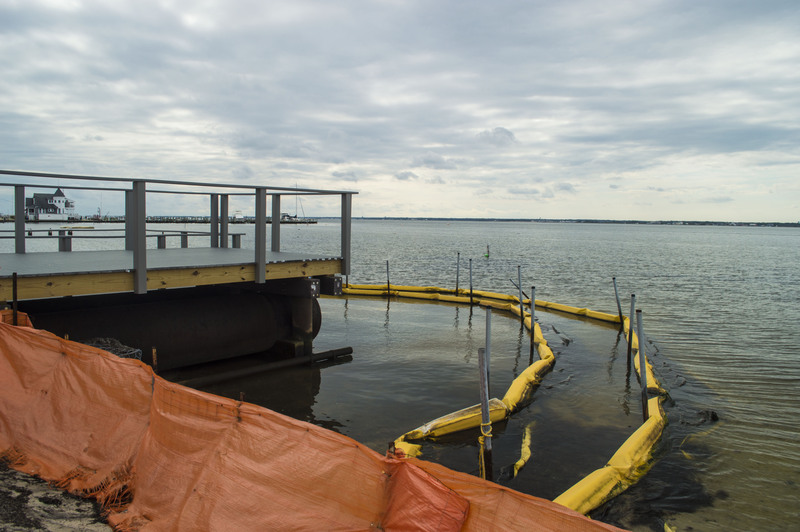 In Seaside Park, where the plume formed during the summer of 2015, a containment boom continued to ring the pumps at 8th Avenue and Island Avenue. “The orange silt barriers must, by permit, remain in place until the completion of all construction activity,” Israel said. Meanwhile, some work has been completed to spruce up the aesthetics of the pump stations. Covers have been built over top of the outfall pipes at both sites in Seaside Park, and the state has planted flowers and delivered stones, while creating small walking paths under the gazebo-style pump stations. Israel said the public should be reminded not to access the covers on top of the outfall pipes and other restricted areas mapped out by signage.